With this kids excavation kit you can dig and assemble a mammoth skeleton. 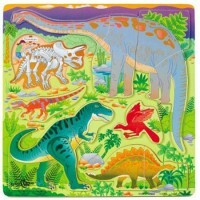 The grown-up paleontologists discovered a deep- frozen baby mammoth in Siberia. 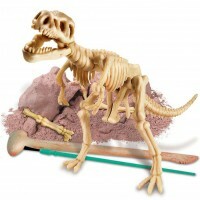 Young paleontologist do not have to go that far to excavate their own woolly mammoth! 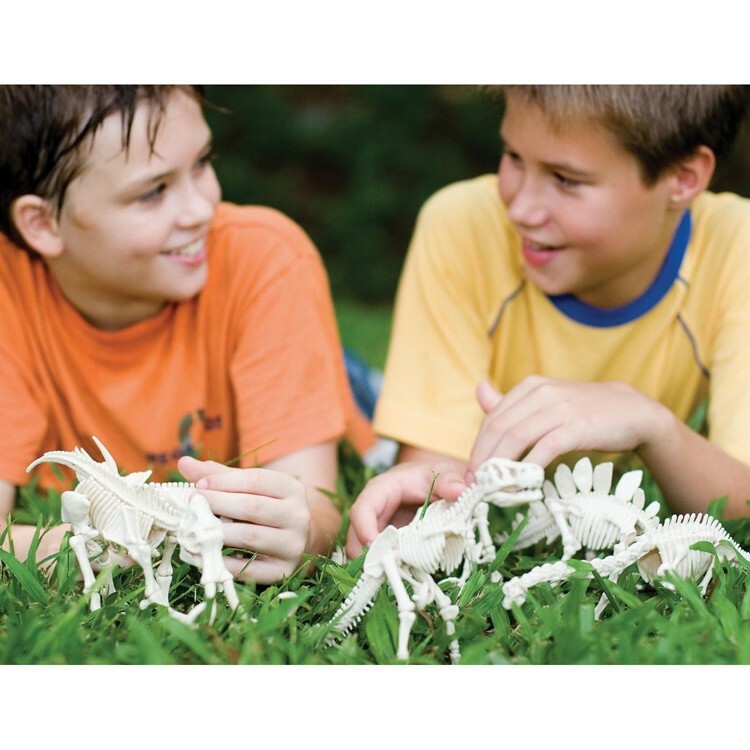 Just buy our Mammoth Skeleton Dig Kit by 4M toy brand and create an excavation site right in your backyard. 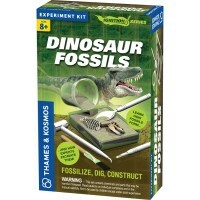 This excavation science kit brings a brick of clay earth to dig out the mammoth skeleton parts from. 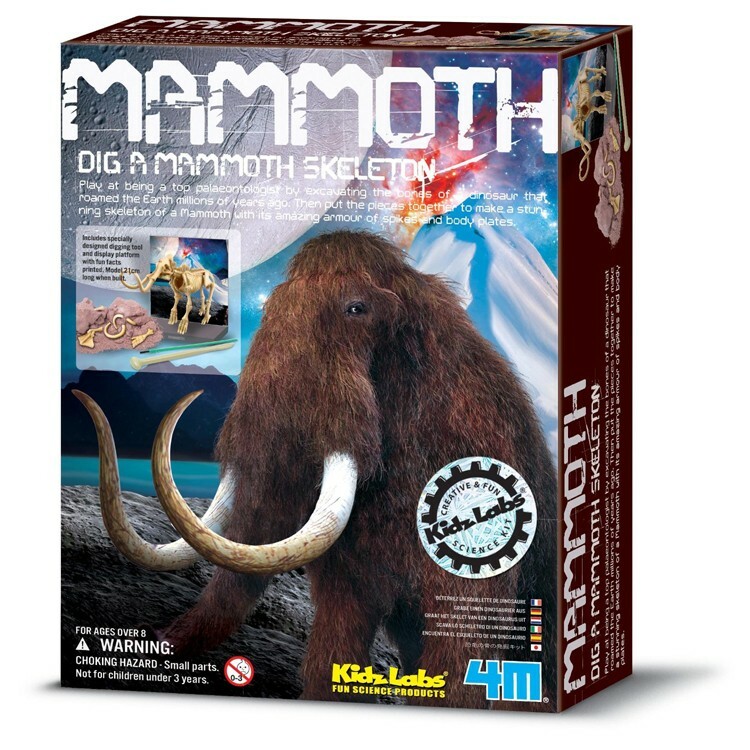 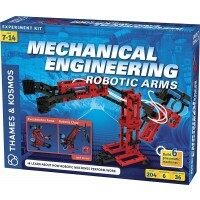 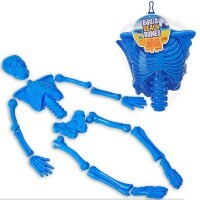 Find all the bones and put together your own 3D mammoth model with this kids mammoth digging set from Educational Toys Planet. 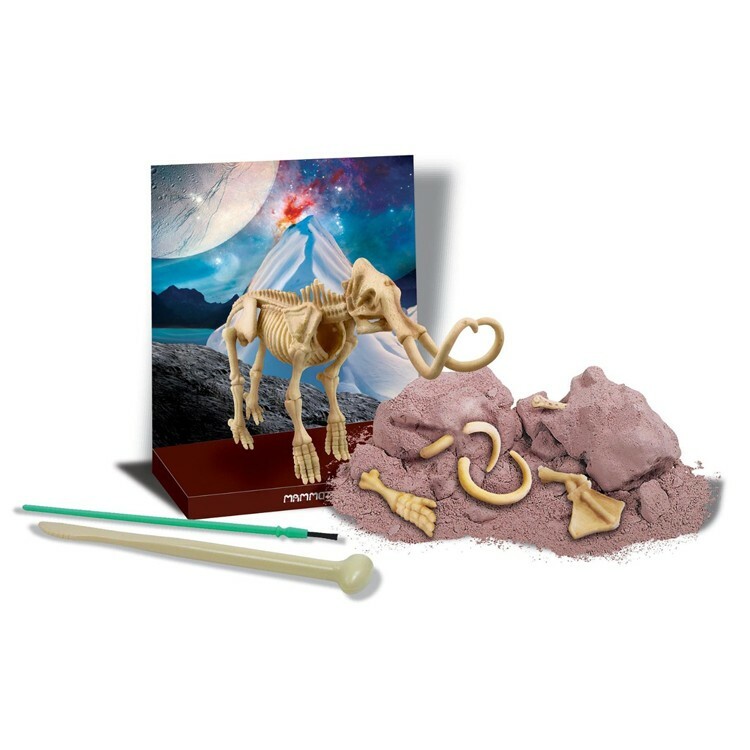 Mammoth Skeleton Dig Kit comes with the excavation tools and instructions for young scientists. 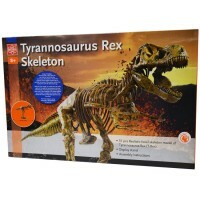 The assembled mammoth skeleton model is 8.25 inches long. 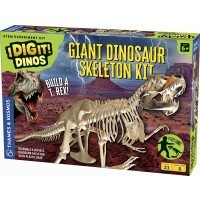 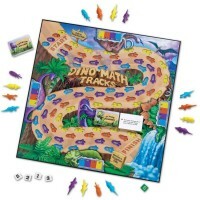 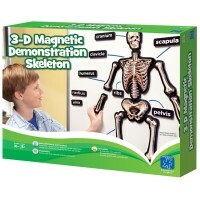 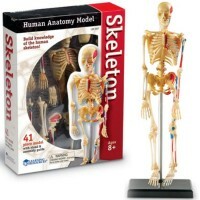 Dimensions of package 2.5" x 8.25" x 6"
Write your own review of Mammoth Skeleton Dig Kit.